Spring is here in many places around the U.S. It gives me such energy to create in alcohol ink and resin! And, of course, I want to garden! I just love how the spring flowers are popping out. I am getting ready to totally revamp a garden. I just finished making a garden plan and ordered plants from a favorite nursery. So much fun to combine colors, textures, and shapes, just like in my paintings! I hope you are as energized as I am to create…in whatever way is right for you! Today, I have a surprise for you! 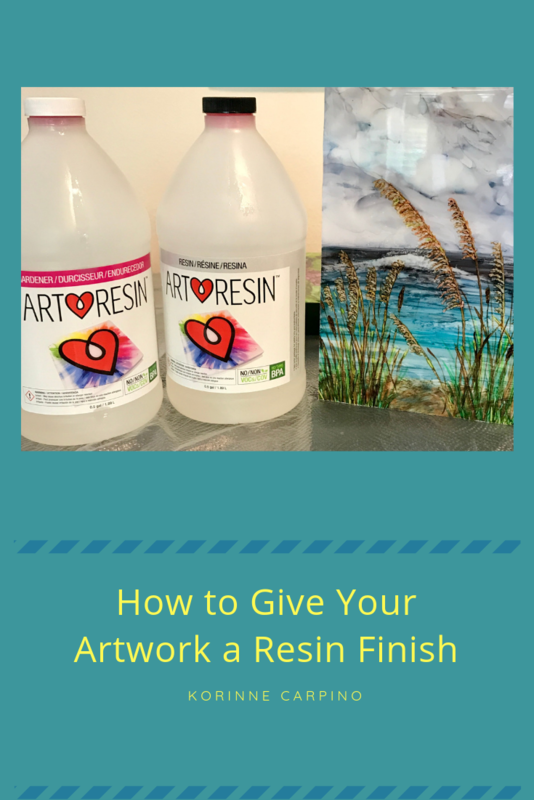 Many of my local students have asked if I would teach a course on how to resin artwork. As I don’t have the studio classroom space for this, and it’s an overnight process, I decided to create a video. The technique that I will demonstrate can be used on any type of artwork that is sturdy enough to bear the weight of the resin. In the video, I will demonstrate how to resin a painting mounted on a wood cradled panel. This is the same method I use to resin tiles. There are many brands of epoxy resin. I prefer Art Resin brand. It is easy to use, has low VOC and low odor, and I like the consistency. Resin is a little fussy….the ideal room temperature should be 72-77 degrees. You have 45 minutes of working time with it. I recommend you practice on a small test piece….not your masterpiece. Once you are comfortable with the resin, then you can give that professional finish to your favorite artwork! Click here to enjoy the video! And if you have any questions, leave a comment on the blog. I’ll be happy to give you a helpful response! Get the monthly Alcohol Ink Art lesson, tips and techniques! Enter your name and email in the boxes below and get the blog posts delivered right to your inbox. Want to Learn How to Paint with Alcohol Ink? Sign up to receive your FREE Alcohol Ink E-book. Edited by Suzie Baker and Anke v.d. Berg-Quanjer, it features tutorials, tips, techniques and video links from 82 artists, including me! Lots of ideas and instruction for you to explore. I am an abstract artist who loves to experiment. I work in alcohol ink on a variety of substrates and venture into mixed media. I love to teach - see my Learn With Me page for class information. © 2018 Korinne Carpino Art. All Rights Reserved.